SEATTLE--(BUSINESS WIRE)--TCS World Travel, the leading tour operator of private jet expeditions for nearly 25 years, has been named the No. 1 “Tour Operator” in the Travel + Leisure 2017 World’s Best Awards. One of the world’s most respected hospitality awards programs, the World’s Best’s award winners are selected through a reader survey for favorite hospitality experiences across categories including hotels, spas, cruises and airports. 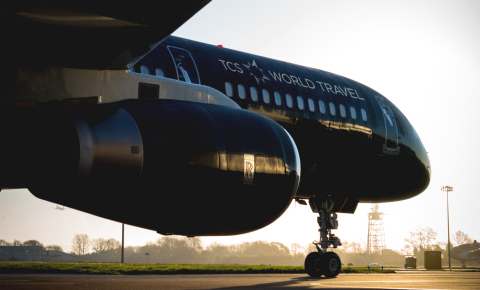 Knowing that affluent travelers seek the opportunity to explore undiscovered regions, TCS World Travel offers extraordinary adventures and exclusive access to emerging destinations with ease aboard the company’s custom-configured Boeing 757. Northern Summer: A Journey Around the World by Private Jet and Kingdoms and Cultures of Eurasia by Private Jet are two highly anticipated trips taking flight in 2018 that explore remote, hard-to-access destinations. Following the midnight sun to the planet’s northernmost reaches June 18 – July 10, 2018, Northern Summer: A Journey Around the World by Private Jet – priced at $81,950 per person, double occupancy – visits emerging destinations like Iceland, Mongolia and Russia’s Kamchatka Peninsula. Kingdoms and Cultures of Eurasia by Private Jet – priced at $80,950 per person, double occupancy – takes travelers through under-the-radar destinations like Kyrgyzstan, Iran and Oman, where storied pasts mingle with intriguing futures April 28 – May 20, 2018. Set to depart in 2017 and 2018, the new Uncharted Series delivers highly immersive experiences and one-of-a-kind adventures limited to intimate groups of 12 to 20 guests. Travelers will experience the ease of flying on helicopters and mid-size private jets – such as the Gulfstream G550 and Bombardier Challenger series – on life-list adventures over the course of 15-20 days. Journey options include discovering some of India’s greatest treasures, from the peaks of the Himalayas and the deserts of Rajasthan to the bustling city of Mumbai; exploring China with experiences like a visit to Longsheng’s fabled terraced rice paddies and an encounter with giant pandas at a sanctuary; and searching for life lessons on health, longevity and spirituality amid the remote corners and thought-centers of Asia. TCS World Travel’s new regional trips start at $39,950 per person, double occupancy. All TCS World Travel journeys are all-inclusive of private flights, best-available accommodations, ground transportation, dedicated staff and guides, dining, exclusive sightseeing options, special events and activities, and enrichment programs. For information about TCS World Travel, please visit https://www.TCSWorldTravel.com or call 800-454-4149. Follow TCS World Travel on Facebook at Facebook.com/TCSprivatejet and @TCSWorldTravel on Twitter and Instagram. TCS World Travel leads the industry in private jet journeys with the experience and knowledge built from developing hundreds of trips for nearly 25 years. Dedicated to delivering immersive, worry-free travel experiences, TCS World Travel caters to the needs and preferences of the globally curious and modern luxury traveler. Whether on curated around-the-world or regional expeditions by private air; or personalized itineraries created to any destination in the world, TCS World Travel provides unparalleled local access and exclusive activities tailored to any travel style.